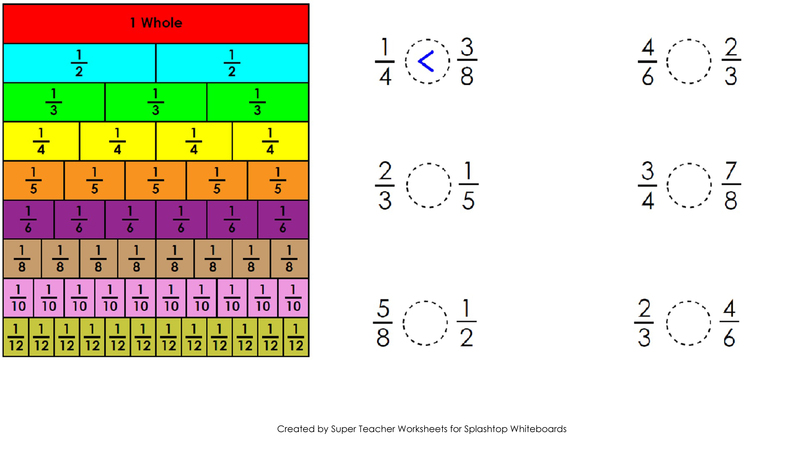 Download SplashTop Whiteboard® to display the worksheets from this page on your iPad and your classroom's whiteboard. Disconnect your ipad from your computer. (You MUST do this). Copy the jpgs into the "Whiteboard/(Your ipads name)/Backgrounds" folder (follow your desktop shortcut to locate this folder). Remember that Whiteboard creates a folder with your iPads name in the Whiteboard folder, so be sure to copy the files there! 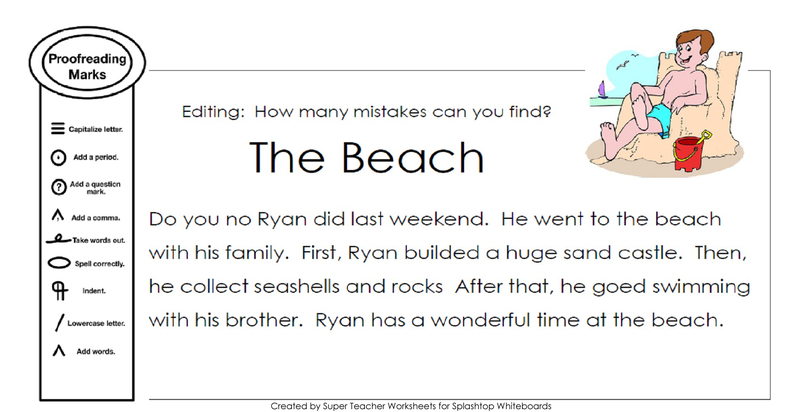 Now when you go to the Digital Flipchart tool, you will see thumbnails of the new Super Teacher worksheets! 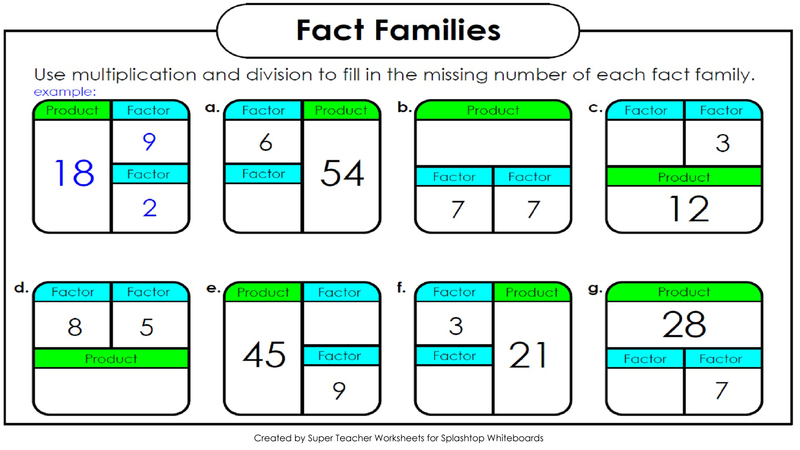 Fill in the missing numbers in the fact family boxes. 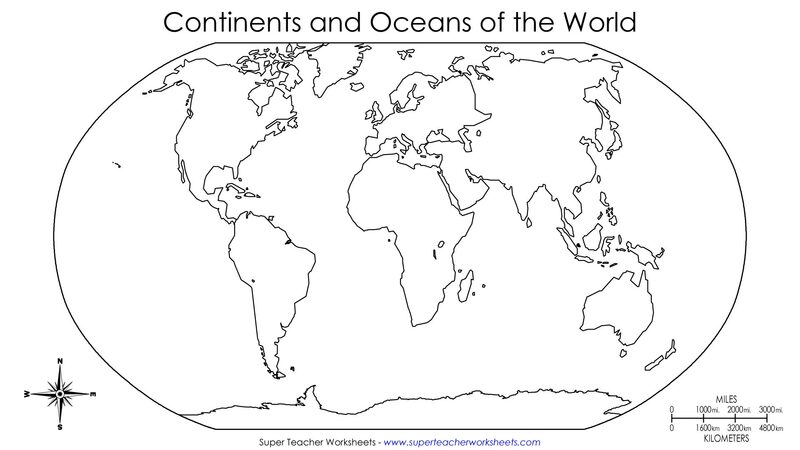 This basic world map shows the seven continents and four oceans. 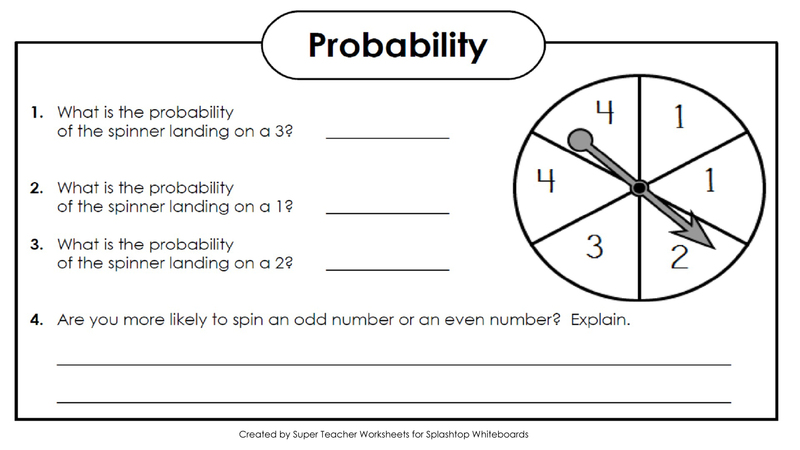 Subtract the three-digit numbers. These problems require students to borrow. 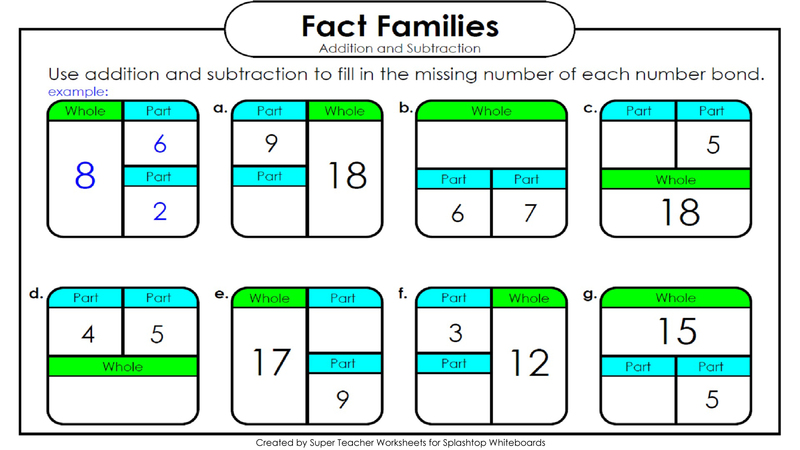 Use your knowledge of basic multiplication and division facts to complete the fact family boxes. 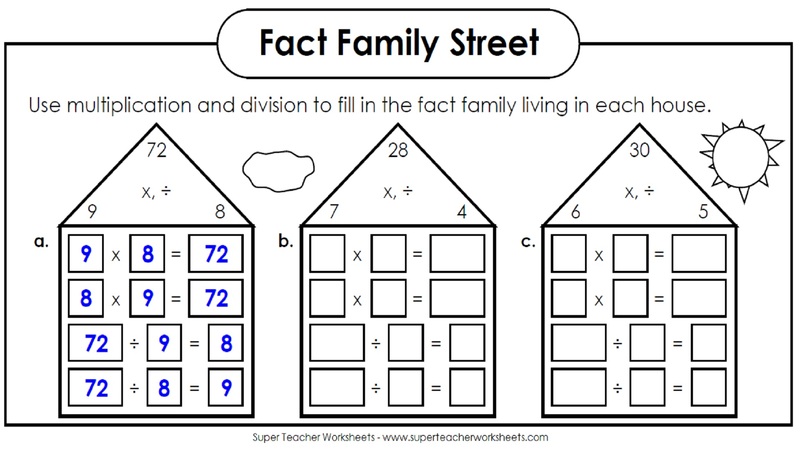 Multiplication and division facts live in families on this street. 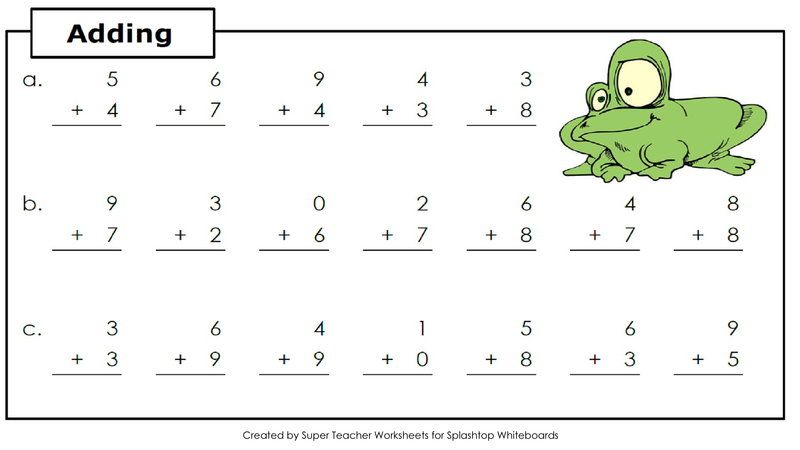 Complete the missing numbers in the picture. 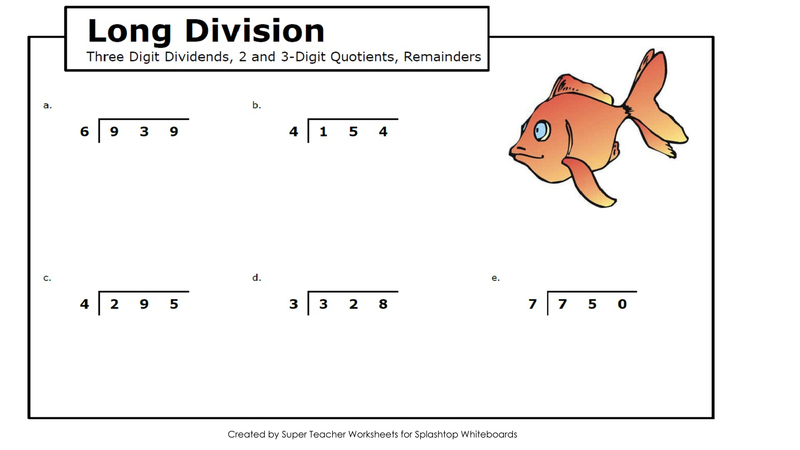 Solve these long division problems and show your work. 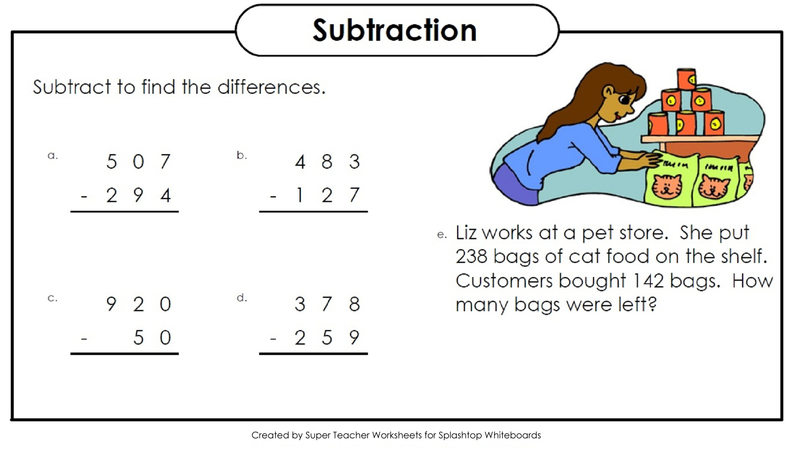 Compare the values of two different fractions using "greater than" or "less than". 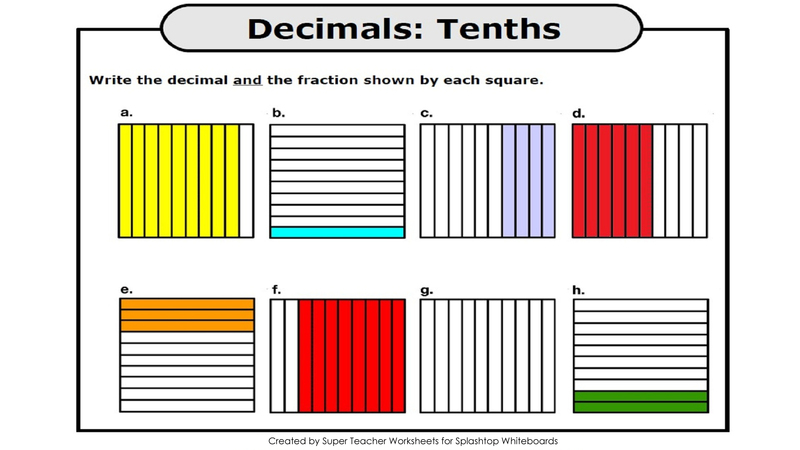 Write the value of the decimal shown by each picture. 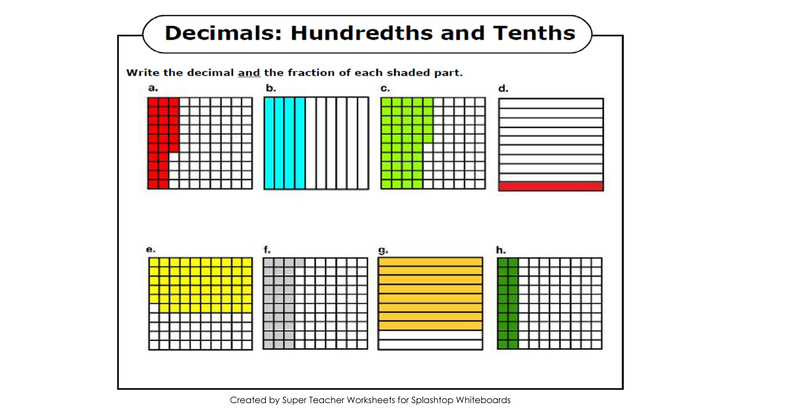 All decimal pictures represent tenths. 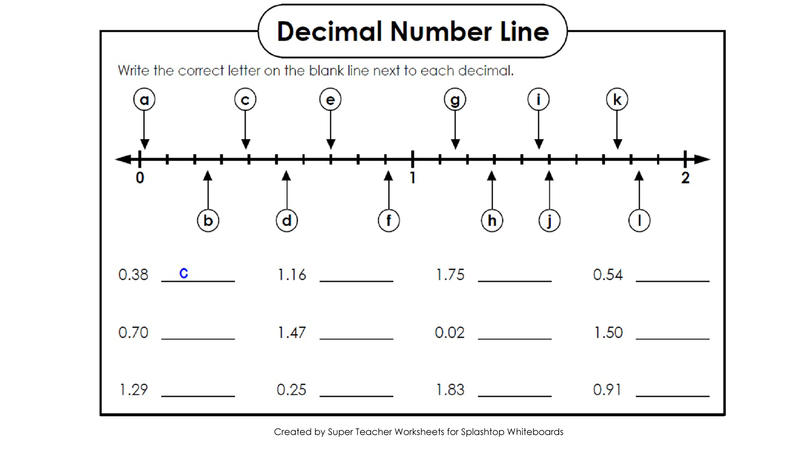 Match the decimal value with the correct letter on the number line. 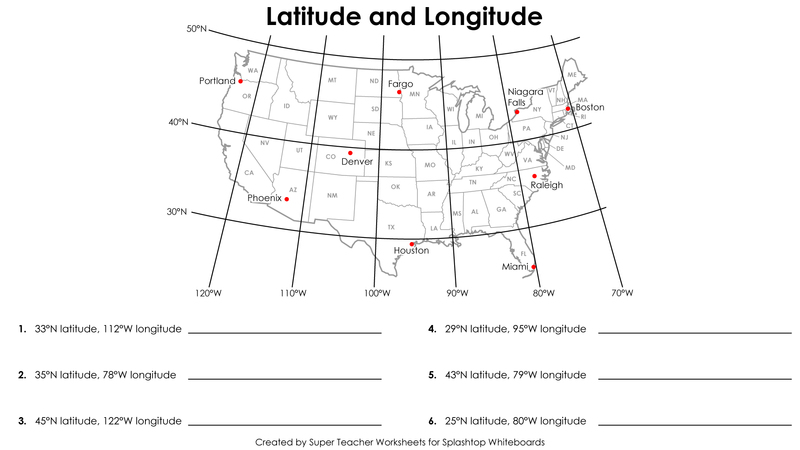 All decimal values are in the hundredths. 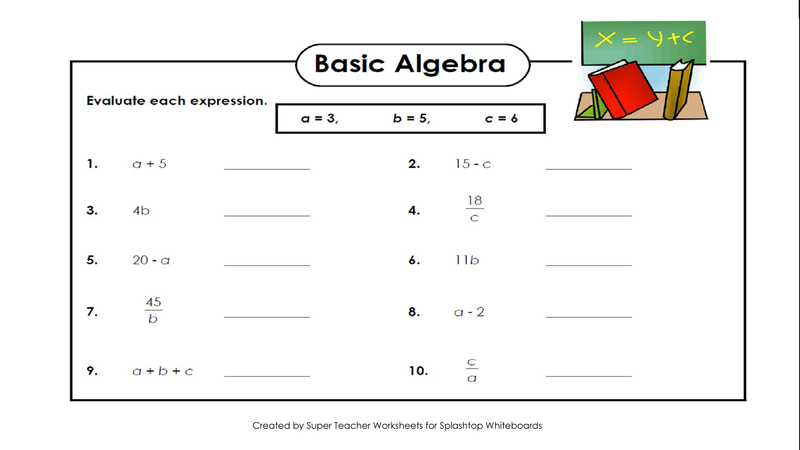 Evaluate each basic algebra expression. 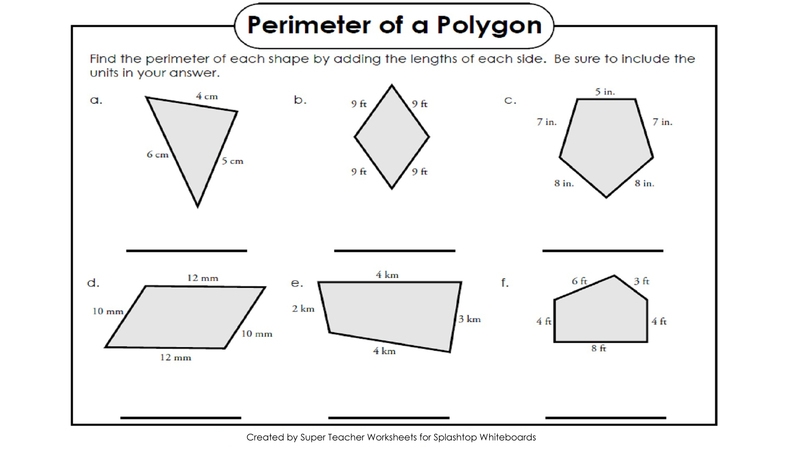 Find the perimeters of the polygon shapes. 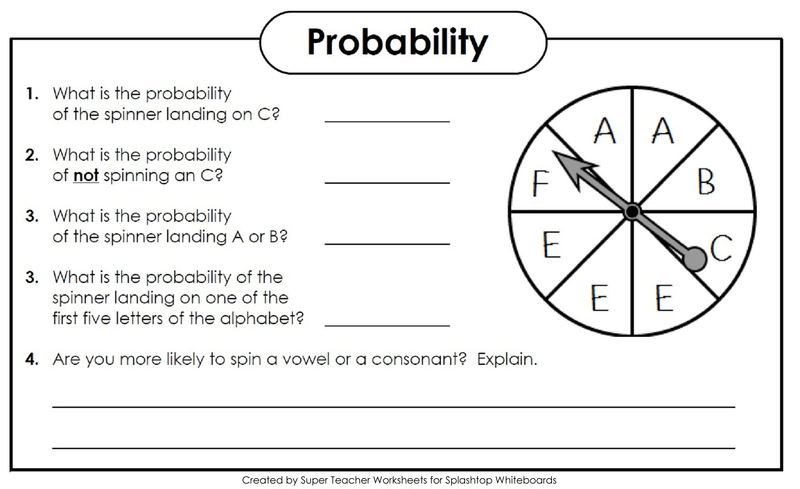 Determine the probability of certain outcomes. 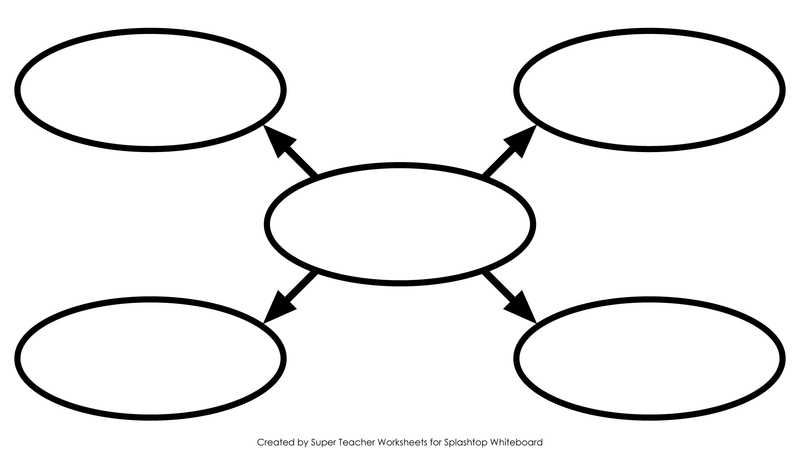 This web includes a center space for a main idea and four extending bubbles for details. 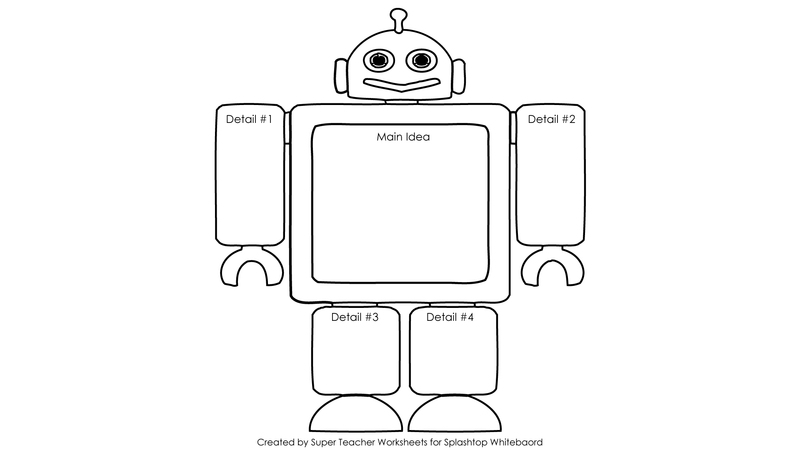 Plan your writing with this robot graphic organizer. 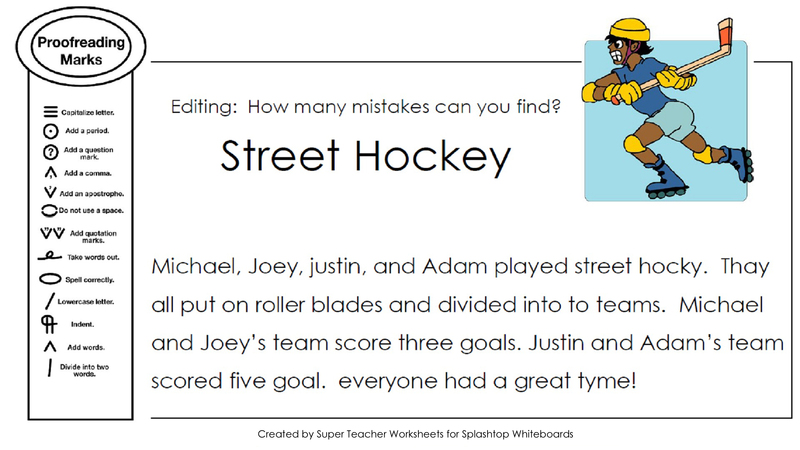 Find the errors in this paragraph about street hockey. Find the mistakes in this paragraph about children going to the beach. 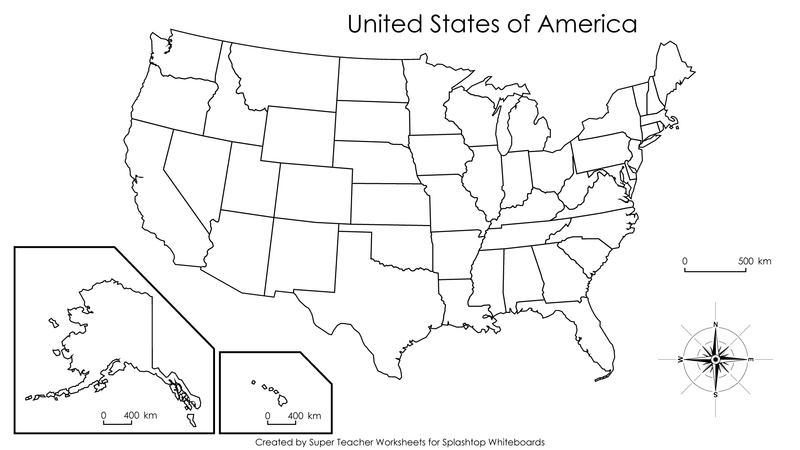 This USA map shows each of the fifty states. 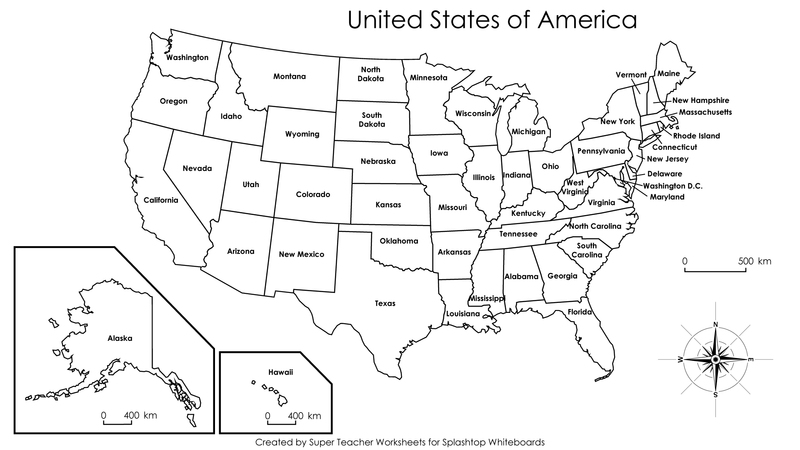 This USA map shows an outline of the 50 states without labels. This USA map shows the states and their capital cities. 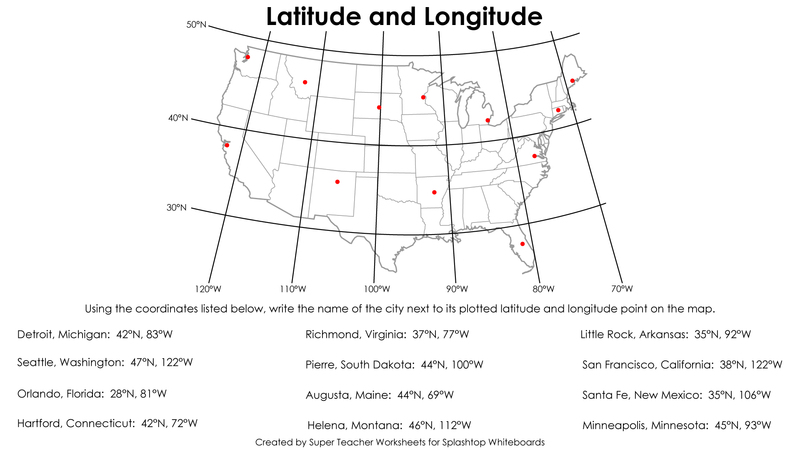 Students find cities using latitude and longitude coordinates. 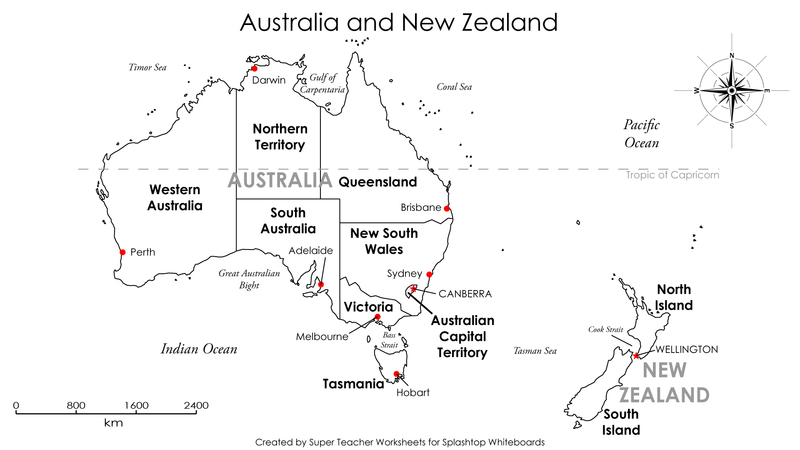 Basic maps of Australia and New Zealand with Australia's states labeled. 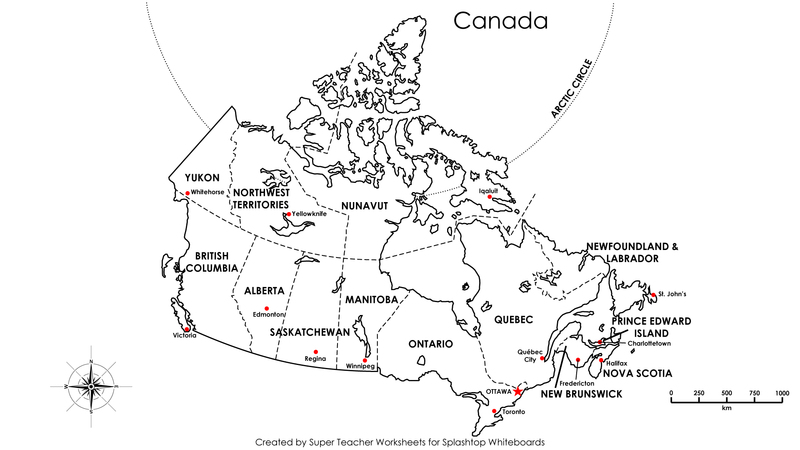 This is a graphical map of Canada's provinces and territories. 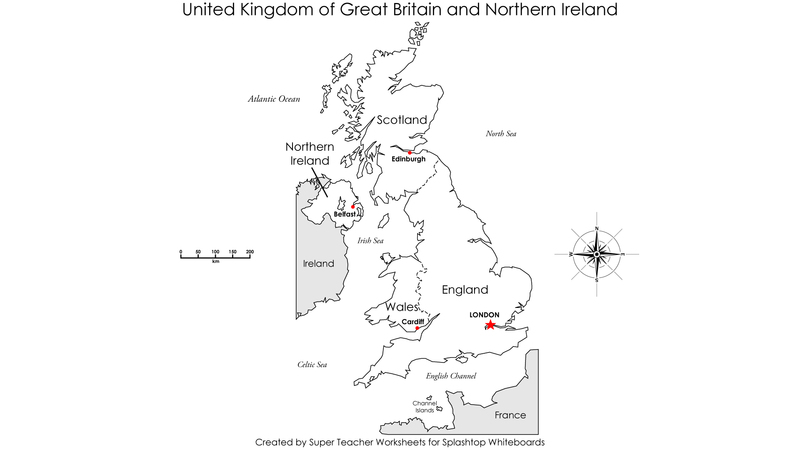 This map shows the four kingdoms of the UK. 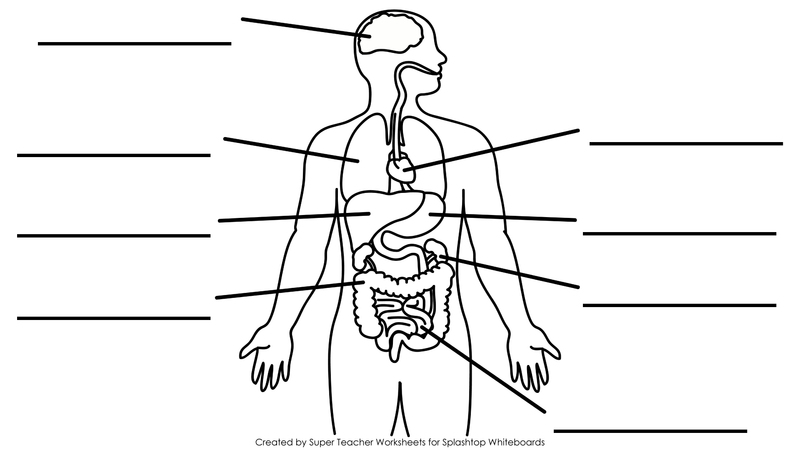 Label the major organs of the human body, including heart, lungs, stomach, intestines, and brain.